You might have enabled 2-step verification feature on your Google account. Guess what? WhatsApp has also added this feature in its recent update. Two-step verification adds an extra layer of security to your account and prevents it from unauthorized access. With this feature enabled, you will be asked to provide a 6-digit security code to access your account. 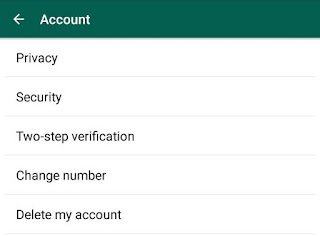 You'll need to enter the passcode when registering your mobile number with WhatsApp again. For example, when you'll install WhatsApp on a new device. 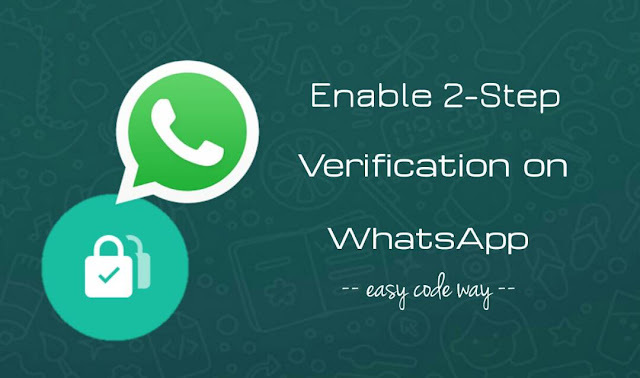 In this tutorial, we will discuss on how to secure your WhatsApp account by enabling this 2-step verification feature. First, launch WhatsApp and tap the menu button (three dots at the top-right corner of the app screen). Now go to "Account > Two-step verification" settings. Here tap the "Enable" button and enter the 6-digit passcode. In the next screen, confirm your passcode. Next, you will be asked to add an email address to your account. This is an optional step which you can skip. However, adding an email address can be useful in resetting your passcode if your forget it. 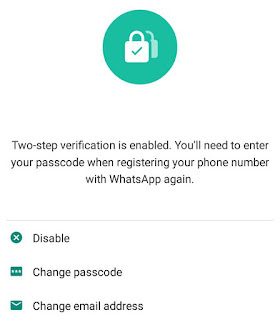 Note: While enabling 2-step verification feature on WhatsApp, make sure that you are connected to the Internet. When you will register your phone number with WhatsApp again. For example, when you will reinstall WhatsApp or login to your account on a new device. 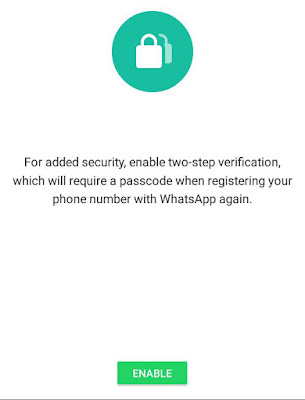 To help you remember the passcode, WhatsApp will ask you to enter it periodically. For example, when you will restart your phone. If you forget the passcode, you can disable two-step verification feature by sending a disable request on your email address. And if you haven't added any email address, you will be locked out of your account. In that case, your number will not be permitted to reverify on WhatsApp within 7 days of last using it. After these 7 days, your can reverify your account without the passcode but all your pending messages will be deleted upon reverifying. 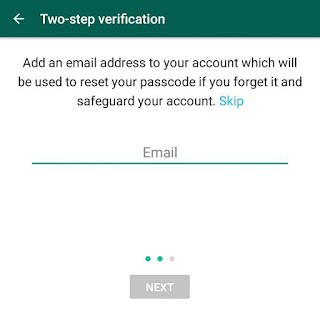 In extremely rare case, if your number is reverified after 30 days of last using WhatsApp (without the passcode), your account will be disabled and a new account will be created upon successfully reverifying. To be on the safe side, it's good to add a rescue email address so you won't lose any data. Note: Do not click on the link you received via email, if you did not request it. 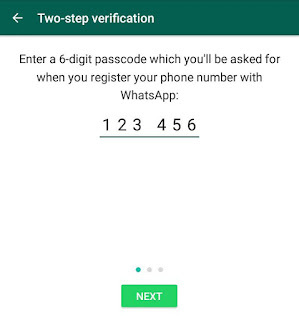 Someone could be attempting to verify your phone number on WhatsApp. 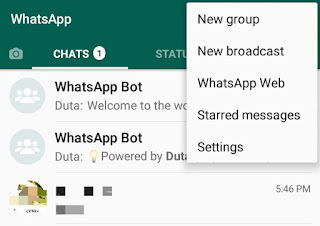 Open WhatsApp and tap the menu button (three dots at the top-right corner). Now go to "Settings > Account > Two-step verification". Tap the "Disable" option and that's it. From the same screen, you can also change passcode and update email address. If you would like to ask something about this two-step verification feature, feel free to share it in the below comment box.